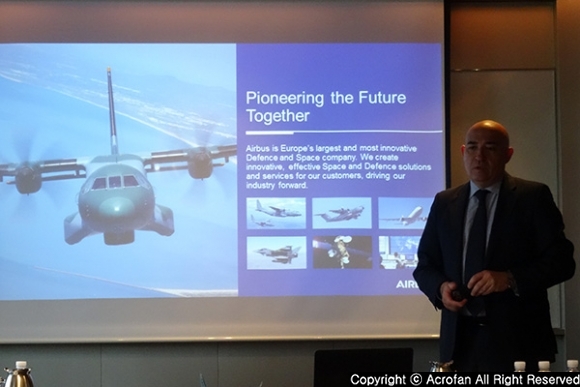 On May 17, 2018, Airbus held a press conference at Seoul Plaza Hotel and proposed 20 C295 Maritime Patrol Aircrafts (MPA) to the government of the Republic of Korea to provide the most appropriate solution to the requirements of the Korean maritime patrol. 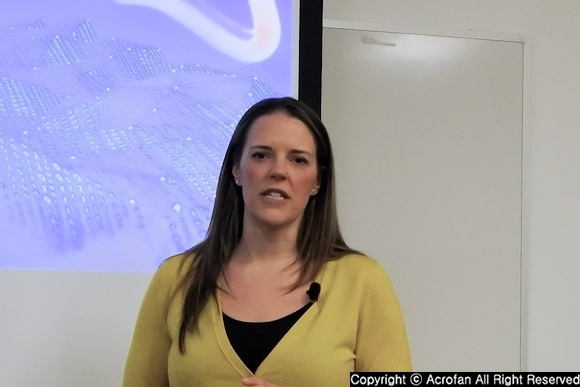 As a company that develops and manufactures aircraft from the body to systems as a whole, Airbus emphasized that it supports both systems and weapon integrations, thereby providing surveillance and reconnaissance functions. 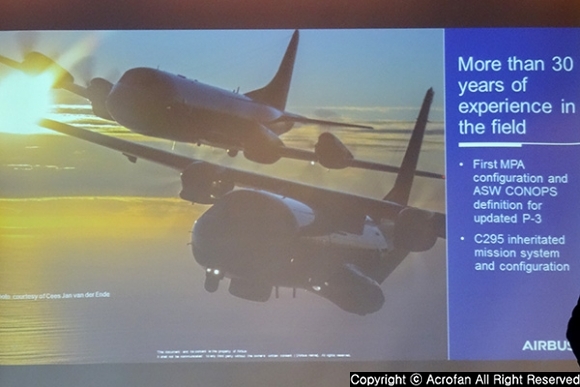 Moreover, as a company that advanced the concept of maritime operations with 'P-3' improvement business, Airbus was confident about the suggestion of the optimal solution for a middle-range and long-range patrol. 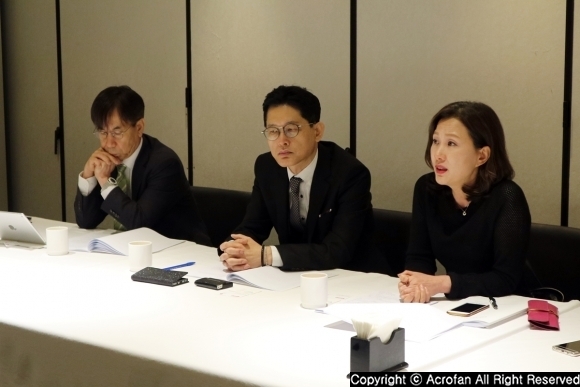 Brian Kim, Vice President of Airbus Korea Defense & Space Division, said at the press conference that Airbus would be willing to participate if given the opportunity for a competitive bid of the next MPA. 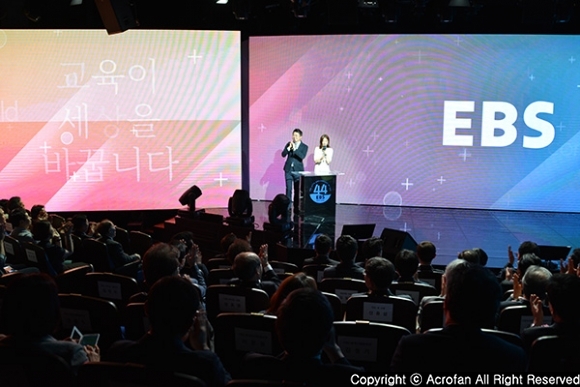 Airbus and Korea have long-term and strategic partnerships in a variety of industries including commercial aircraft, defense, space and helicopters. 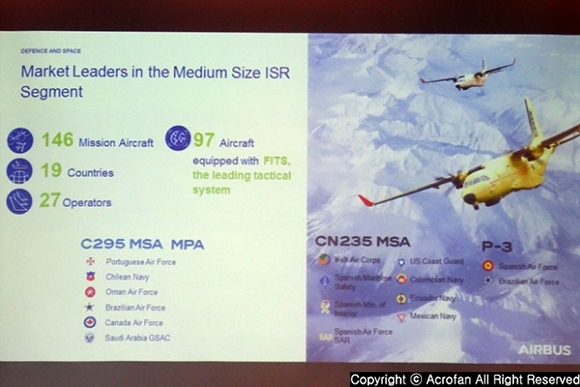 Earlier, Airbus had introduced the A330 MRTT, a multi-purpose tanker to the Republic of Korea Air Force. The ROKAF is also using the CN235 tactical aircraft equipped with the turboprop-powered engine, a previous model of the C295, for transport purposes. 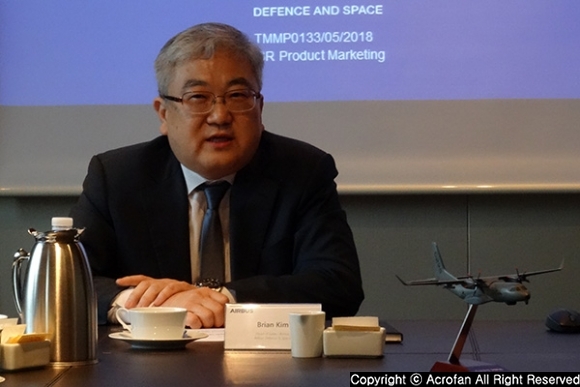 What’s more, Airbus helicopter products are in operation in the Korean defense industry and it has developed Surion helicopter for the use in the Republic of Korea Army with Korea Aerospace Industries, LTD. (KAI). 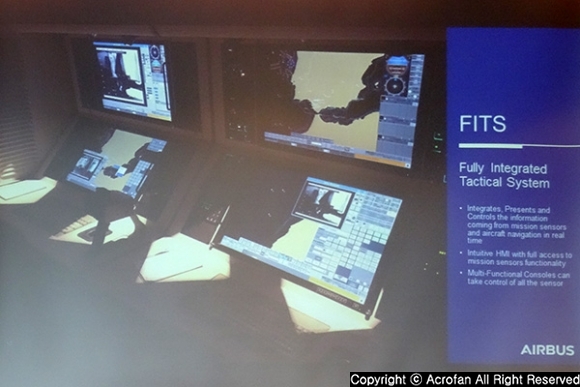 Airbus also maintains close industrial cooperation with KAI, KAL-ASD, and many SMEs in Korea. 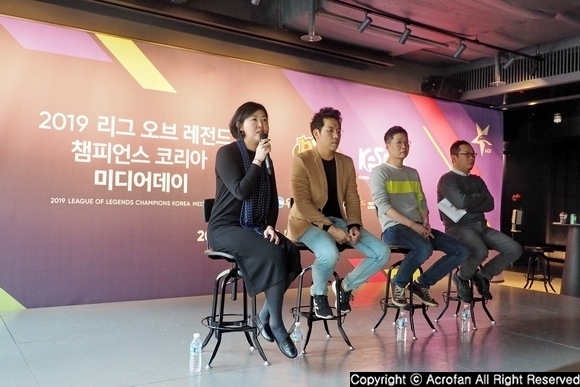 Its business in Korea is expected to grow from $500 million in 2016 to $600 million in 2020. 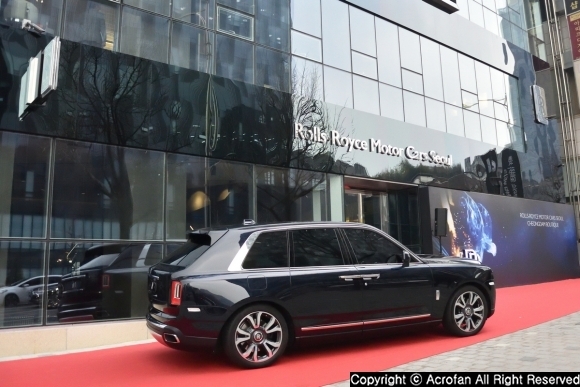 Airbus estimates that more than 6,000 jobs requiring highly skilled have been created through various projects in Korea. 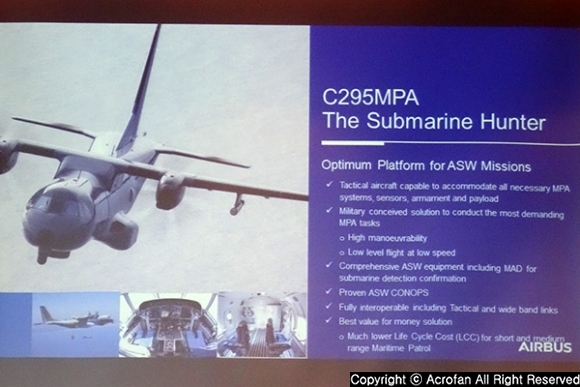 ▲ Airbus has been leading the business of maritime patrol aircrafts for more than 30 years since the P-3 advancement project. ▲ The C295 model was produced based on the development know-how of CN235, the global bestseller. 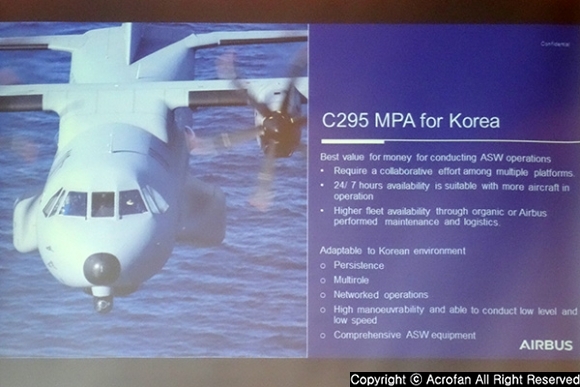 ▲ Airbus presented its configuration optimized for the MPA business ordered by the Korean government. 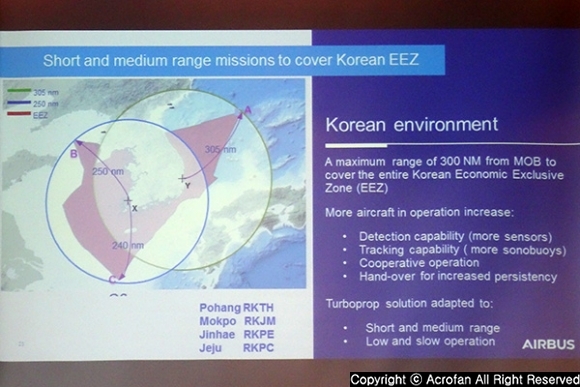 ▲ Focusing on the Korea EEZ area and major base camps, the rationality of the C295 MPA specification is mainly explained. 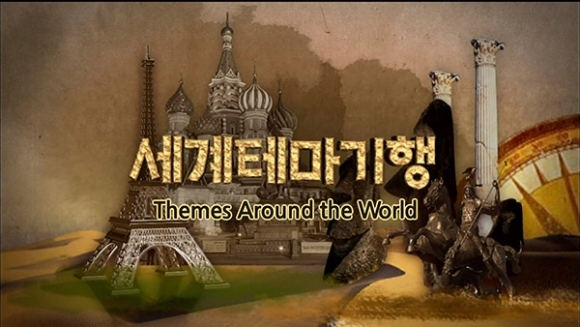 ▲ Since South Korea is surrounded by North Korea, China, Russia, Japan, etc., it has a special characteristic in its operations. 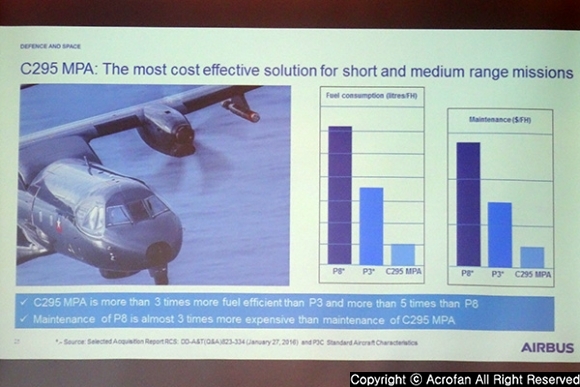 ▲ Airbus emphasized inexpensive introduction and maintenance costs as its competitiveness. 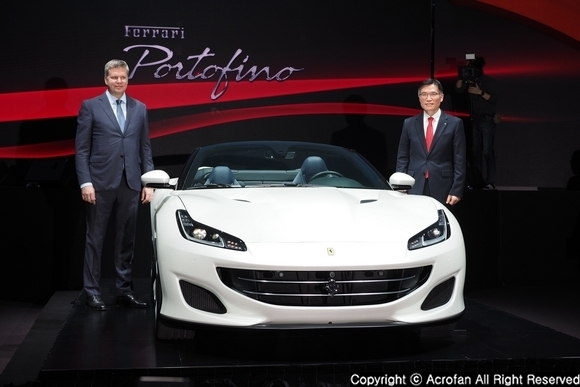 ▲ Airbus, following Boeing and SAAB, threw a ticket for Korean MPA bidding. 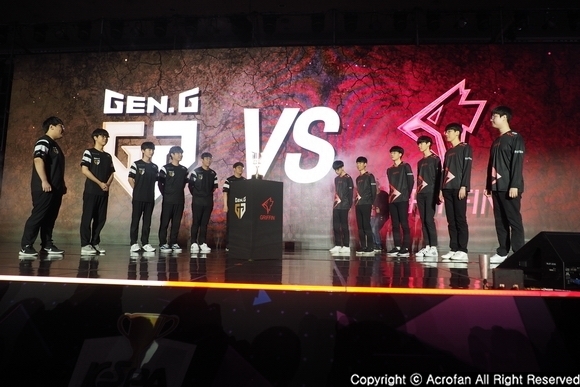 ACROFAN explained the main features of the Korean anti-submarine operation and pointed out that bad weather is usually considered when an antisubmarine operation occurs. It asked for durability in these adverse conditions and explanations of related cases. 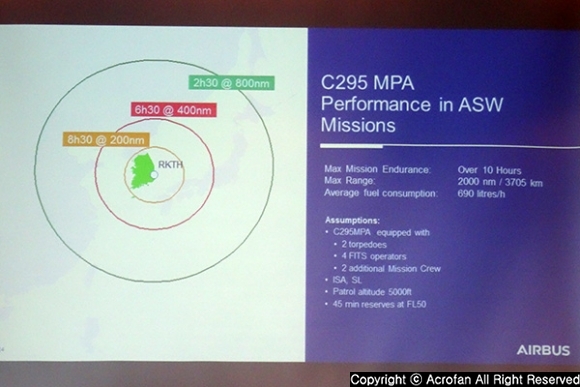 Also, he said, “The C295 MPA enables operations in bad situations. For reference, a recent Canadian contract would be a good example. Canada uses aircraft for search and rescue purposes, and when it is bad weather or the weather changes, it uses the aircraft for rescuing citizens. It also carries out a role of search and rescue in the mountains as well as in the sea. A total of 16 units will be deployed in northern Canada to perform search and rescue across Canada. Therefore, no matter how bad the weather conditions are, I think it will not be difficult to carry out the operations.